Central Africa Baptist College has been called into existence for the express purpose of preparing men for the New Testament Gospel ministry. The curriculum has been structured to fulfill this purpose and the faculty is unreservedly committed to this goal. 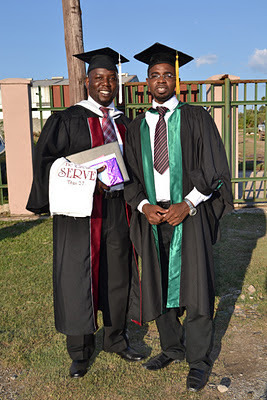 Graduates will have the necessary tools and content material to enable them to take leadership positions and to fulfill their calling adequately whether it be in the home, the pastorate, establishing local churches, the mission field, or in Christian education. CABC has many distinctives, which justify its founding and continued existence. It is committed totally to the primacy of the New Testament church as God’s ordained instrument of witness and work in this age. It thus trains its students in the ideology and function of the local church. 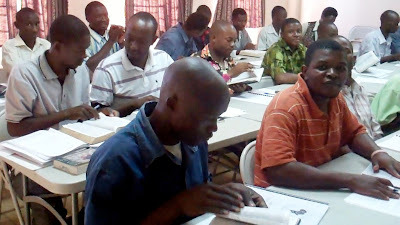 The School emphasizes expository preaching based on a study of the Scriptures considering original languages and settings. Theological education offered by the college flows from the authoritative, inerrant Word of God. CABC affirms a literal approach to the interpretation of Scripture. It emphasizes exegesis and Bible exposition courses, all of which are coordinated in a coherent, unified network of systematic theology. This is accompanied by courses in expository preaching, church history, pastoral theology, church administration, and missions. The scholastic side of college life is not at the expense of heart preparation for the ministry. A genuine desire to preach and a tenderhearted concern for the souls of men are fostered as best as is known how. A weekly ministry in a local church is required of all students. The practical, pastoral side of the Lord’s work is emphasized in the classroom as well as the academic. Not neglected is one’s personal relationship of obedience to God through the Scriptures. While rejecting various forms of pietism and mysticism, CABC nonetheless attempts to nurture the inner man and enhance the maturing process that any correct exposure to the Word of God will bring. Discipleship is the context in which both the practical and academic aspects of the college are carried out. The staff and faculty are committed to a life-touching-life approach to ministry, in and out of the classroom. New Testament servanthood demonstrated by Jesus Christ is a vital part of the character development of each. The administration, faculty, and staff lead by demonstrating humble and sacrificial service to others. No person is beneath being served and no task too humble to be embraced. This biblical philosophy of servanthood produces leaders who reflect the character of Christ by humbly serving and boldly proclaiming the truth of the gospel. With such distinctives and philosophy, the college puts forth a product that will meet the need for well-trained and qualified workers in the Lord’s harvest field across Africa. 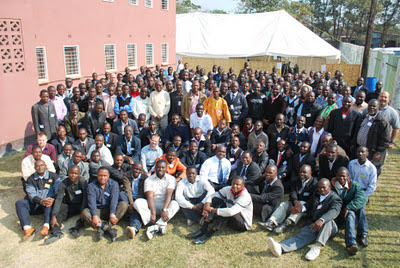 Central Africa Baptist College & Seminary pledges uncompromising loyalty to the Scriptures and remains totally committed to the thorough equipping of men called of God into ministry. 1. The college is organized around the direct presentation of truth in a lecturer-centered classroom situation. Students attend classes on the college campus either full-time or part-time. 2. 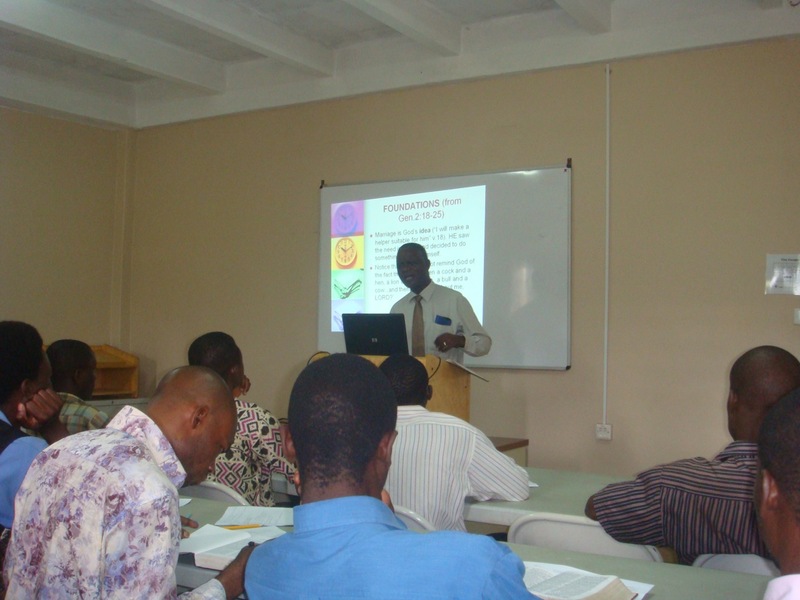 Three times a year, expository preaching block classes are held at the college campus in Kitwe. These block classes are open to those wishing to advance their theological and ministry training but are unable to enroll for an entire semester. 3. Extension block classes are offered at various venues across Africa. These classes are designed to provide theological education to pastors and church leaders unable to leave their ministries and train on the CABC campus. Extension classes are being conducted in South Sudan, Zimbabwe and in Malawi in 2012. 4. The Seminary is scheduled to open in 2013. Classes will be offered in a multiple-approach format. A combination of block classes on the CABC campus, online courses and evening sessions will be the means by which the classes are offered. The goal is to offer an MDiv. Central Africa Baptist College offers a Bachelor of Arts Degree in Bible (Theology). There is a minor for those wishing to serve as Chaplains that includes 30 credit hours of instruction in issues specific to this ministry. There are immediate plans to expand the degree offering to include a degree in Biblical Counseling and a degree in Education. A combination of full-time and adjunct faculty faithfully minister in the classroom. These faculty members are drawn from within Africa as well as internationally. The academic standards at CABC are equivalent to similar institutions abroad. After graduating from CABC our students have enrolled internationally in various Masters Degree programmes and are excelling in their studies. 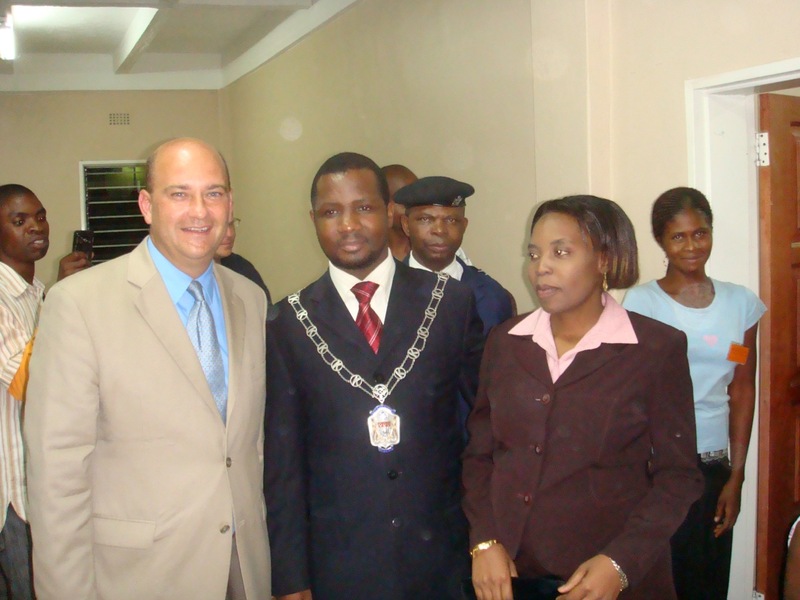 CABC will seek regional and/or international accreditation for their degree programmes. Call or text the office at +260977415011. Philip Hunt serves as president at CABC. He would love to chat with you if you desire more information, are a potential student, or if you would like to host an extension block class in your area. You can contact him through email at phunt@cabcollege.org or on cell at +260976153466.